Join us for our star-studded, Miami-style event featuring some of your favorite professional athletes as they "walk on water" over Cle's extravagant pool. Expect an exciting, over-the-top party with a celebrity fashion show, live entertainment, a can't miss live auction and more! 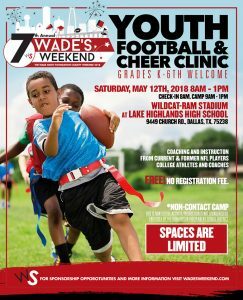 All volunteers and participants must have already completed a Volunteer Application and been approved to attend. Not open to the public. 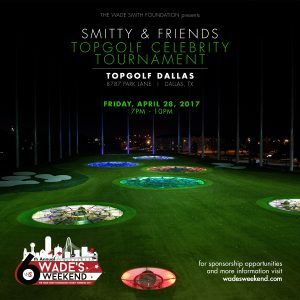 Join Wade Smith, his former teammates and celebrity friends for an evening of charitable golf at Dallas' premier driving range. 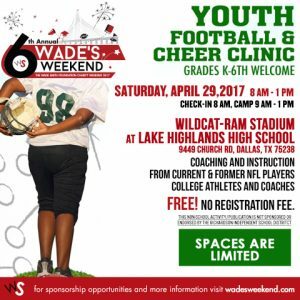 Food and beverages will be served. 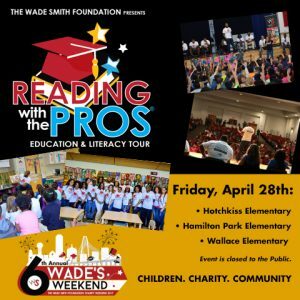 The Wade Smith FoundationTM's annual fundraising cocktail soiree is back! Join us on at Cle Houston for "A Night Under the Sea". 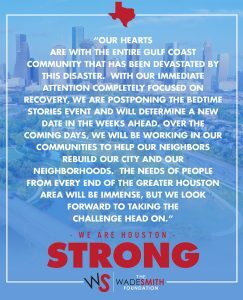 The evening will feature several of your favorite Houston Texans players & other local celebrities as they “walk on water” down the runway over Cle’s Miami-style pool. Expect an exciting, over-the-top cocktail party with special live entertainment. 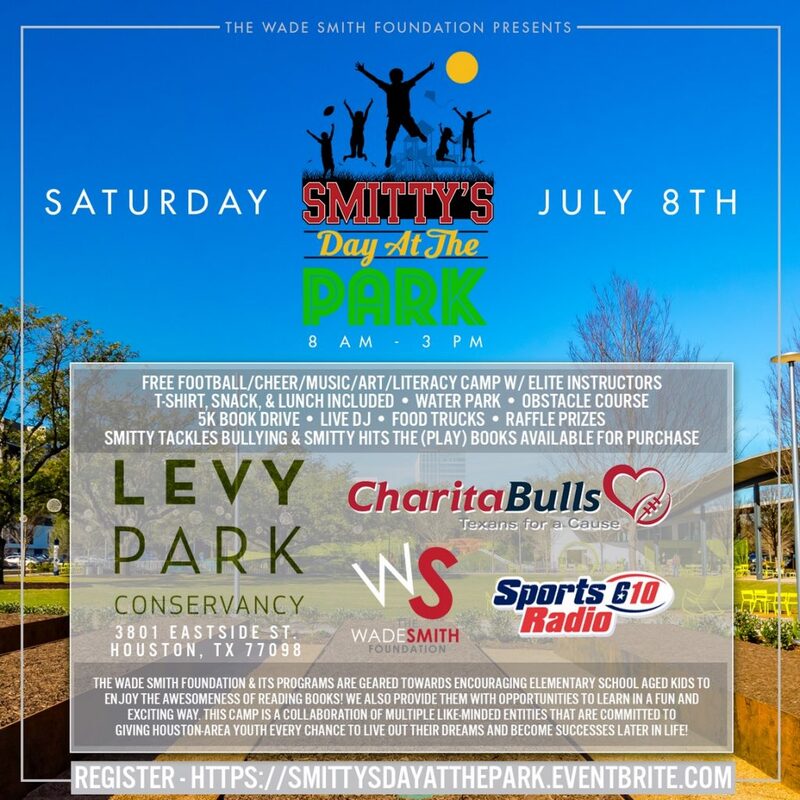 The Wade Smith Foundation's annual fundraising cocktail soiree is back! Join us on Friday, April 27, 2018 from 7pm-11pm at Cle Houston for "A Night Under the Sea". 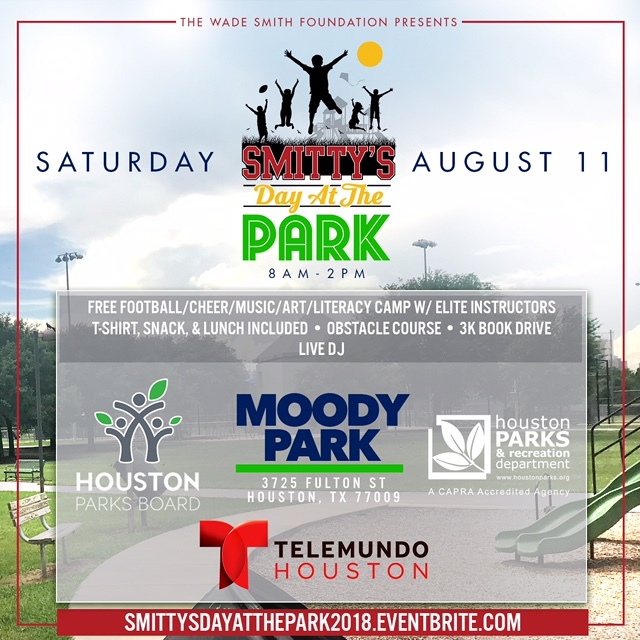 The evening will once again feature several of your favorite Houston Texans players & other local celebrities as they “walk on water” down the runway over Cle’s Miami-style pool.